Elmer the elephant popped in to school today to say hello! As part of our collaboration with St Oswald's Hospice members of their team arranged for Elmer to spend the morning in school to promote the 'Elmer Parade' initiative and to give the children the chance to see what our Elmer might look like. 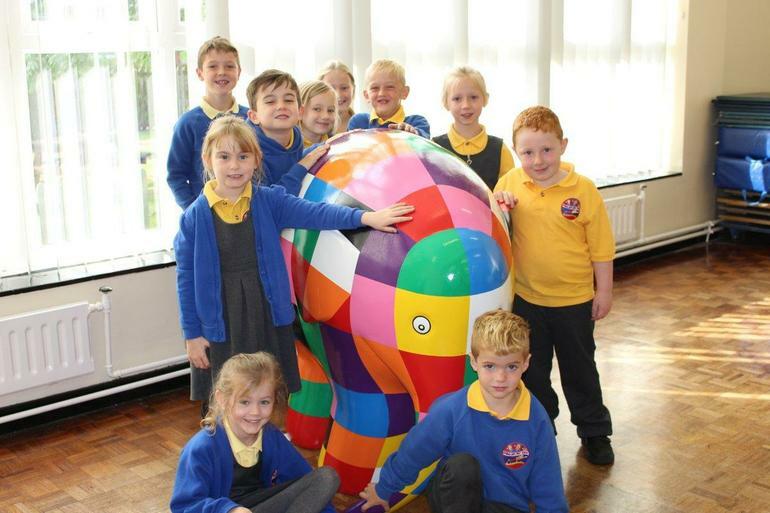 All of the children in school had the chance to meet Elmer and it is fair to say there were some very excited children!